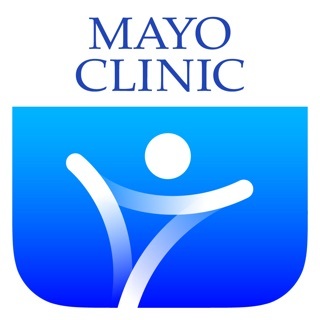 The Mayo Clinic app gives you practical, helpful tools to manage your health on-the-go. The app delivers a daily dose of health news and practical advice from top doctors, dietitians, fitness experts and more. You can also search for reliable, research-backed answers to your questions about diseases, symptoms and health procedures. Plus, you can easily request an appointment with world-class experts in top-ranked specialties. 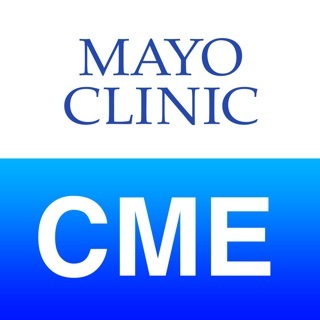 If you're already a Mayo Clinic patient, the app puts all of your medical information in your pocket, so it's easier to track your health, schedule appointments and complete check-in questionnaires at your convenience. When you're on-site, the app is your ideal tool. You'll get easy access to your appointment itinerary, important reminders, campus maps and your personal medical records. •	Start (or end) your day with daily health insights, fitness videos, recipes and wellness tips. •	Search for trustworthy info about diseases, symptoms and medical procedures. •	Make appointments at your convenience. •	Check your appointment itinerary. •	View test results in real time. •	View radiology images and exams. •	Access and pay your bills. •	Communicate with your care team in a secure messaging system. •	Get Express Care Online within an hour for common ailments that don't require an in-person visit (available in select regions). Spring is finally here and with that we decided to do a little spring cleaning of our own. We pulled out the polish, shined things up and swept away the bugs that we squashed. This app is very handy and i use it frequently. Like adding appointments to calendar feature. But both website and app neglect the ability to pay by visit selectively. This means bills get much later payment while some are pending on insurance payments...this is bad for Mayo cashflow. I might add that each time I have called and paid by specific visits the Mayo clerk agrees that they get many callers requesting to pay in this manner yet nothing has been done about it. One would think that the operating costs associated with phone support for billing in this manner (many times it can be 10+ minutes) would easily justify the changes to incorporated it. For example the website already lists the bills by visit number yet it does not provide the means to pay them individually. So this is just not an app problem. I suspect the problem is that they do accounting of charges and credits by an account and not by individual bills to an account. But since they go through the effort to address bills individually they should have the means to implement payment by bill(visits). Matenai - thanks for the kind words about the app. I’ve passed your feedback along to our billing area so they can consider improving that experience for users in the future. If you think of anything else we can do better - feel free to drop us a note. Our email is mcmobileapps@mayo.edu. Thanks so much. Into Joseph Pilates for 15 years until my instructor moved back to seattle. I also took vigorous and demanding yoga classes. Ashstanga, other yoga that extremely demanding. I went through a year course to train to be a yoga instructor. Then I took an 18month course to learn accupuncture and Chinese Medicine. Yet, I am now at a point where walking is a challenge due to inherited genetic problems. Does anything really work to treat autoimmune problems? The side effects of autoimmune meds are worse than the diseases they are treating. You can have a long list of results and not know what they are referencing. Perhaps you had 10 different tests (blood, lung aspiration, urinalysis and so on) and each test had tested for protein. ...The lab results will have 10 different protein results but you won't know what assay each are from. Also: not every test you go in for will populate to your portal. WHY NOT?!? It’s my test, I paid... you better let me have the ability to view. This goes for certain pathology tests, neurological exams, fertility tests (including ultrasounds)AND many more!!!! Why do you (Mayo Clinic) HIDE results from patients? Why!!!? I’ve updated review down to one star. You’ve had enough time to fix these issues. One star is generous. Notice no developer response to this date because for some reason Mayo doesn’t want you to have access to your entire result list and won’t attempt to categorize your test results. This is to control the patient, negligence, or do not care about patient needs. Would like to know which of these are/is the reason. © 2012-2019 Mayo Foundation for Medical Education and Research. All rights reserved.